I think that I've mentioned before on my blog that before I became a vegan, I never ate eggs. I hated the look, the smell and the texture. But there was one exception, my Mom's egg salad. 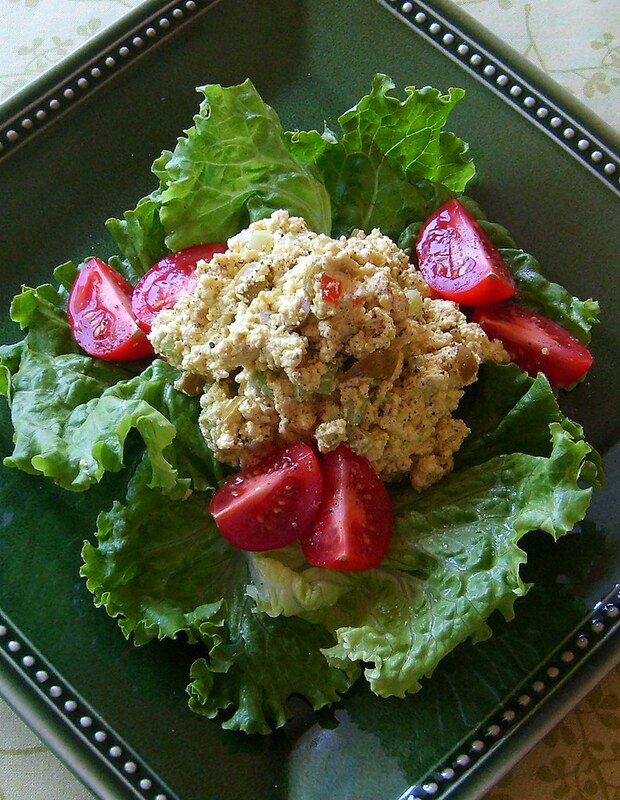 When I was a kid my friends always asked me, "can you ask your Mom to make some egg salad, please?" She would make a large batch and it would be gone within minutes. Well Mom, I hate to break it to you, but my egg salad is better than yours...and that's saying a lot because my Mom is an excellent cook! My version uses the same ingredients, except for eggs of course, has no cholesterol, is low in fat, high in fiber (we used to eat it on white bread) and is delicious! So Mom, when I come to visit you in October, I'm going to make my version and see if it passes the ultimate taste test! Note: My Mom added cream cheese along with mayonnaise. I don't like the flavor or texture of vegan cream cheese and so I omitted it and added more Vegenaise. Drain tofu and press between two sheet pans for about an hour to remove excess liquid. Crumble tofu in a medium size bowl and set aside. In another bowl mix together Vegenaise, black salt, turmeric, Dijon and black pepper. Add Vegenaise mixture to tofu, along with diced celery and olives and stir to combine. Season with salt and pepper if needed. Chill in the refrigerator for at least an hour for flavors to combine. 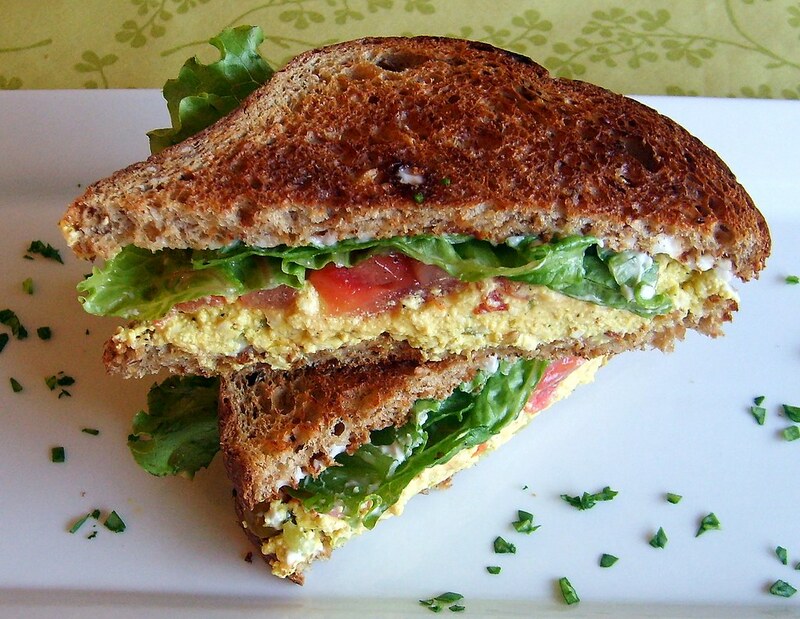 Serve either on a bed of lettuce with tomatoes or on whole wheat bread.